It’s Mother’s Day again (Where is the year going?!) and I have been hearing the same panicked cry of “What do I do?” I hear every year. 1. Ask the Children. Yes, I know it is tricky if you have babies, but still ask. Maybe have some open ended choices for them to look at. You trolling through Pintrest or bulk craft pack sites at 12 am for ideas is not required. (and just makes us all tired and cranky!) For older children do a mind mapping/brainstorming of ideas and vote on some options. 2. Your prep for this should not take hours longer than the child’s effort to do it. (and if it does you should be giving it to your Mother!) This is often why children will spend 2 seconds slapping some pre-cut collage materials on a heart shape…they are not invested or interested at all! Better still, do all preparation (or as much as you can) together! 3. Process not Product! (If you have to “correct” the creation to make it “right” then it is not their creation, it’s yours). It may not look like anything you recognise…and that is OK.
5. It is not a competition! Don’t compare your group product and judge against everyone else on your social media of choice. Should you share this at all is a good question. It is a personal gift between a child and their Mother/family member…how everyone else feels about it is really irrelevant. (Even though I do believe good ideas are meant to be shared for the right reasons! Professional support and development) The families will love what their child creates and children will create freely without constraints of the packet instructions. 1. Free painting/drawing. 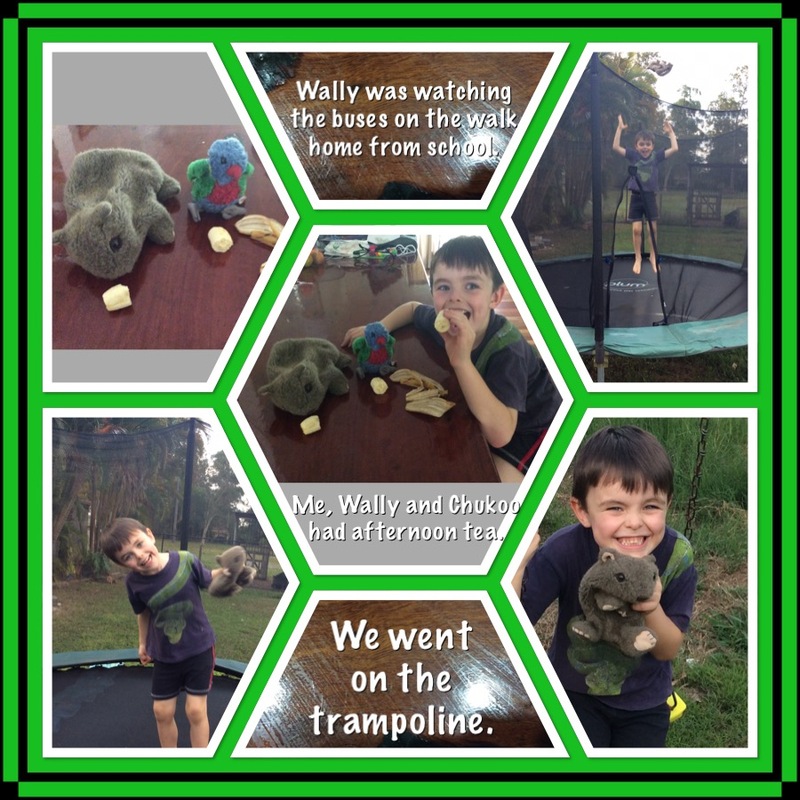 Children can choose the implements and the canvass. My favourite artistic gifts from my children are still hanging on my wall. Make them durable and use good quality products (paints, canvases/based boards/paper/fabric/plates and bake, pens and pencils, different types of painting implements) you want these to last! This is my all time favourite open ended gift and can be given every year as this shows children’s development over time. Fine black pen on canvas with water paints. 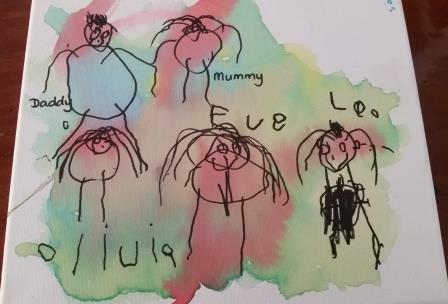 Child wanted to write the names and asked for help with Daddy and Mummy. *Members go to painting and drawing for lot’s of examples of free art styles, fully planned for you. 2. Cooking. 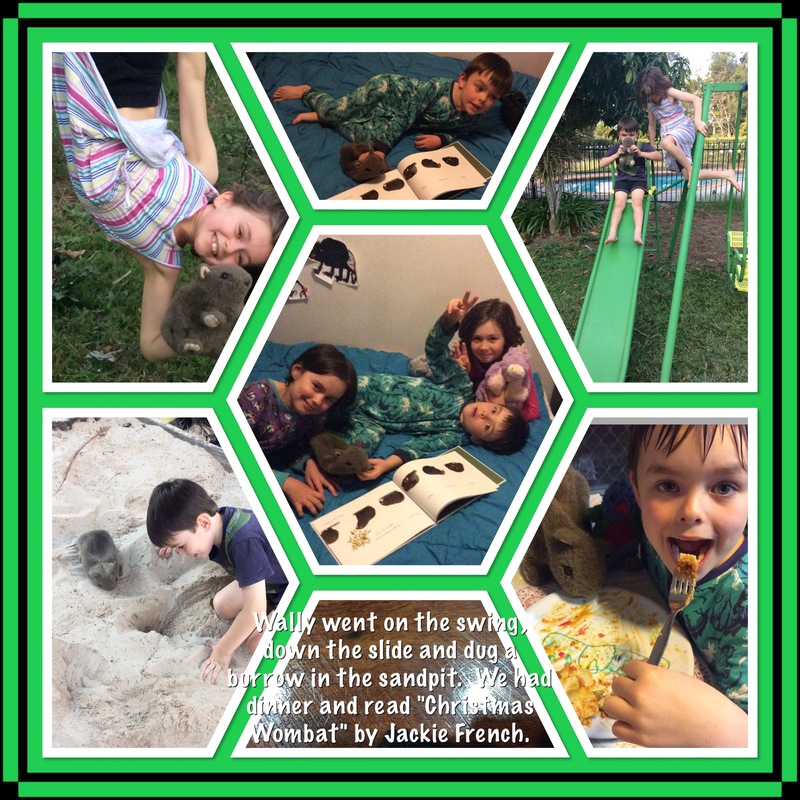 Cooking is not quiet free play/create as above, but is central to all our lives and can be very tactile and fun. Discuss what the children might like to make. Biscuits are great because the children can hand mix and shape them any way they like, roll and cut with biscuit cutters or hand roll and squish!) and put them on trays. They can also choose toppings, fillings or decorations. Children can hand decorate the outside of bottles, tubes (like mini Pringles tubes) or boxes (old mobile phone boxes are a great size) to put them in. *Members see cooking ideas in the members area! 4. Mini Gardens. Children can create mini succulent or fragrant gardens in recycled glass or plastic containers or bark. Old china cups, bowls and other crockery also are beautiful. Minimal amounts of dirt and rocks are required and succulents can be grown from a piece and small cuttings. This experience can be as simple or complex as you wish to make it. Click on this link and go to a fully planned version of Create a Fragrant Garden in Rose3 Sneak Peek. 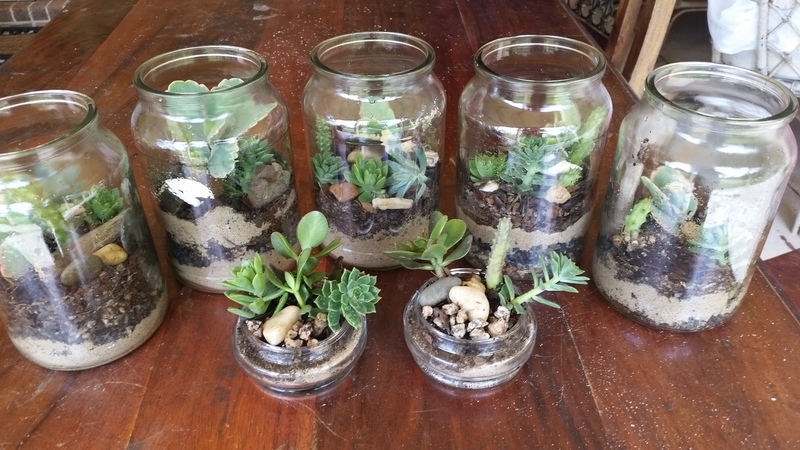 Succulent gardens made by children in old coffee jars. 5. Sculptures. Clay and Play-dough can be air-dried or baked and then painted or left natural. Soap sculpting is also fun. Instead of buying soap to give as a gift…make it!. Pure Soap Flaxes are in-expensive and can be easily moulded, shaped and sculpted as the children like! Colour and fragrance can also be added. Fully planned Rose3 experience below. I hope this has helped with some great ideas for any future gifts. ← It’s about “Best Practice”… for Educators, Families and Children.